C07_3487, originally uploaded by indiaeden. Eden loves her gymnastics. Last year she didn't compete because Florence was due to be born, and she was excited and worried about missing the birth. I tried to persuade her otherwise, but she's a determined (and very sensitive) little girl. This year, I could see she was nervous about competing with another baby due, and the competition on Sid's birthday, but we worked around it, and she was brilliant! Her floor display was excellent. I even saw one of the judges jaw drop when she did her "fish flop". I was so proud, and fighting back the tears, especially when she won silver medal. Great photos. And what a beautiful daughter you have. Congratulations to the beautiful young lady! Wow! 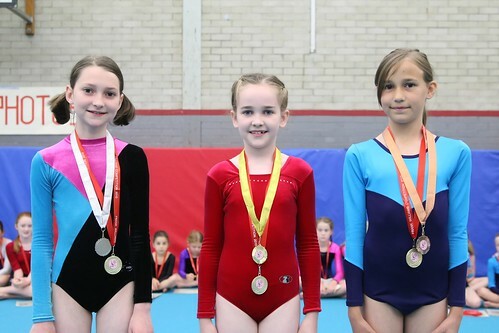 Eden looks like a fantastic gymnast - well done her! Well done Eden!!!! She looks amazing. 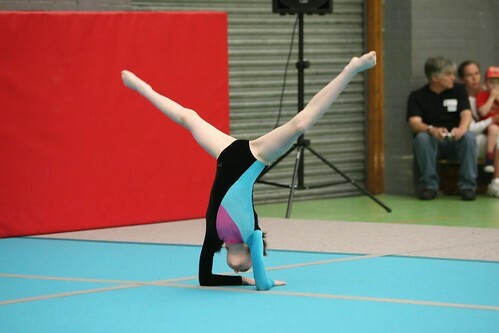 I wanted Brynn to do gymnastics but it's £30 a month here and we just can't afford it. So ballet it is, at £30 a term a lot more affordable. 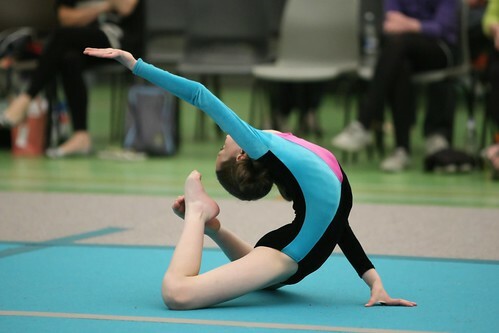 Would love it if she gets into it as much as Eden looks like she loves gymnastics. Well done Eden you must be really pleased! One very beautiful young lady.